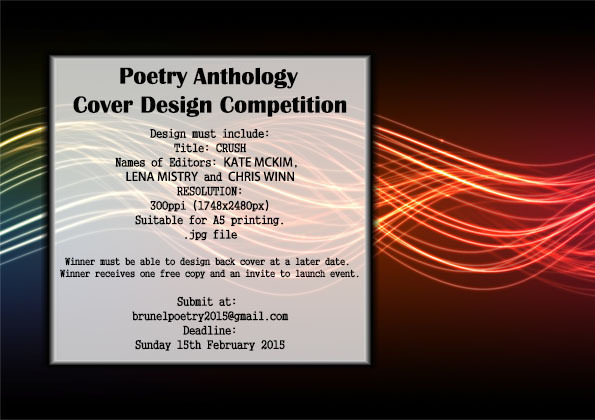 Brunel’s first poetry anthology, newly titled Crush, is hosting a cover competition for Brunel students! The winner of the competition will win an invitation to the launch event and a free copy of Crush. This a great opportunity to add something a little different to your CV! As there ins’t a singular theme that unites all of the poems apart from the expression of new talent, we are looking for original designs that display the student’s own interpretation of the title. If you have any questions relating to the cover competition then don’t hesitate to contact us!